Neath and District Photographic Society was formed in 1934 and held its early meetings in the Grammar School and other rented premises in Neath. In 1969, the members built their own clubhouse in James Street to provide specialist facilities. We moved into our present Bridge Street clubhouse in 1988, when the land occupied by the old club was purchased by the town council for the re-development of the town centre. NPS has an outstanding track record at local, national and international level in photographic competitions and Salons. We have represented the Welsh Photographic Federation in the British Club Championships, and the members annually stage a photographic exhibition in the town. We have hosted the Welsh Salon of Photography twice. The Society has wide cultural contacts and has exchanged portfolios with Neath’s twin towns of Esslingen (Germany), and Vienne (France) and also with Southend-on-Sea Photographic Society. 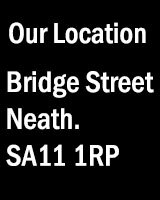 Neath Photographic Society is affiliated to the Photographic Alliance of Great Britain (PAGB) and the Federation Internationale de l’Arte Photographique (FIAP) through the Welsh Photographic Federation (WPF). The Society meets every Tuesday at 7.30pm at the clubhouse in Bridge Street, Neath, where members can enjoy an evening from the programme of events, comprising of lectures, slide shows, practical demonstrations and presentations, all provided by photographers and other speakers from all over Wales and beyond. Our field trips are organised during the summer off-season when we visit a variety of locations in order to improve our practical expertise and to enable us to maybe produce work for future club competitions. During June, July and August we meet at the Club every Tuesday at 6.30pm. The Society organises regular internal and external competitons and members are actively encouraged to submit work for these as part of their learning process. Assessment is usually carried out by Welsh Photographic Federation recognised judges. Trophies are awarded to those who have excelled during the year. NPS is one of the most respected and committed amateur photographic societies in South Wales and strives to exceed all the expectations of its members. It provides a full and comprehensive range of services to its members, including weekly meetings, monthly competitions, field trips, expert advice and tuition, as well as the facilities of our superb clubhouse and studio.